Quality and Reputation Guaranteed – Directly import high quality coffee beans from country of origin and awarded 「ISO22000:2005」 Food Safety Management System International Standard. 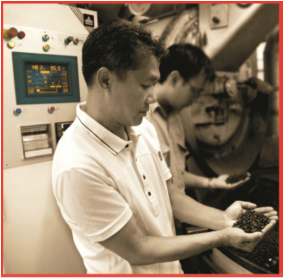 Specialize in Coffee Roasting- STS with more than 40 years of roasting experience and tailor-made flavors in blending strong aroma coffee in meeting different customers' needs. Blended Coffee – High quality Arabica and Robusta beans perfectly blended and roasted. Strong fragrance and mellow taste are the requirements set by STS coffee since 40 years establishment in Hong Kong. We highly value in combining the concepts of simple packaging and endeavor to streamline the manufacturing processes and to sustain the win-win situation for our business partners.